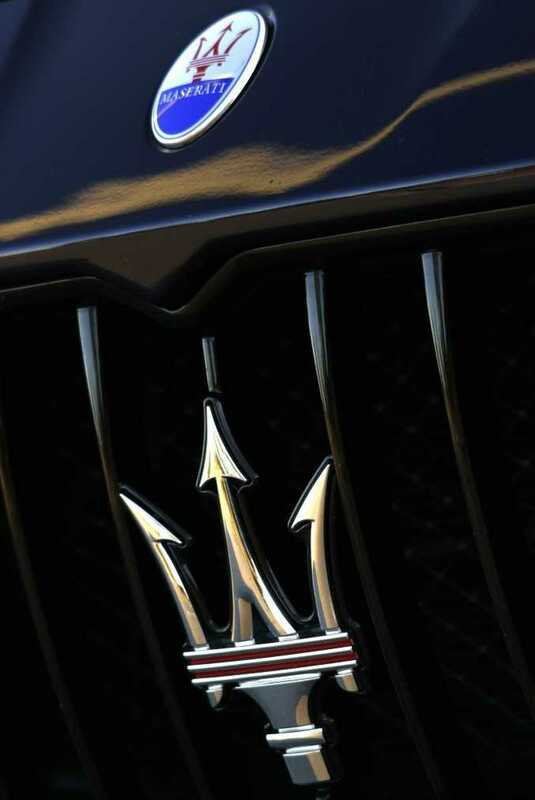 WHAT does Maserati mean to you? Elegance? Performance? Exclusivity? Luxury? Probably a combination of the lot, and considering their not insignificant purchase price, I've always considered them the choice of those keen on Italian performance exotica but after something less shouty than those red cars with the Prancing Horse badge. And as much as I love a Ferrari (stop pretending you don't too), the cachet of Maserati's trident always spoke of subtle class mated to effortless performance. 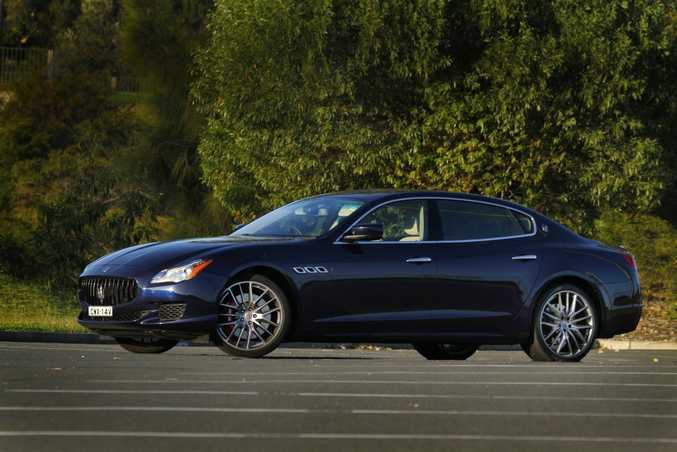 The embodiment of this is best represented by the marque's Quattroporte GTS. If ever there were an elegant continent crusher - a ballistic grand tourer - ideal for modern motoring this would be a list topper. The giant sedan would be equally at home sat in near silence at 250kmh on the German autobahn as it would tackling twisty Alpine mountain passes with graceful poise. And there'd be few complaints from your date as you roll into Monte Carlo's Hotel de Paris glittering parking spots before a champagne evening overlooking the Med. Alas, my test began sat in Brisbane traffic trying to manoeuvre a 5.2-metre performance limousine out of the city before stop-starting in highway traffic heading coast-bound for the weekend. Not a great opening to a fantasy Maserati drive, but at least I was being delayed while cocooned in leather-soaked opulence. This is the sixth generation Quattroporte - a beautiful Italian word when said correctly, even if it rather boringly just means 'four door'. Our test GTS was the full fruit version starting at a mighty $331,000 before on-roads, and with around $30k of factory fitted options, the drive away on this particular car is $375,000. 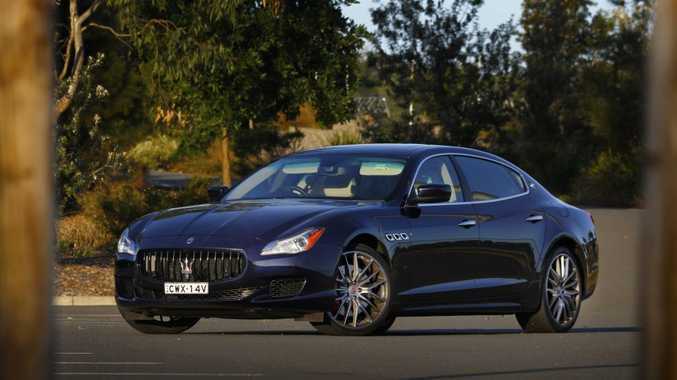 You can get in a Quattroporte for $210,000 if you want the frugality of a diesel motor, while a 3.0-litre petrol starts at $215,000. Still too much? 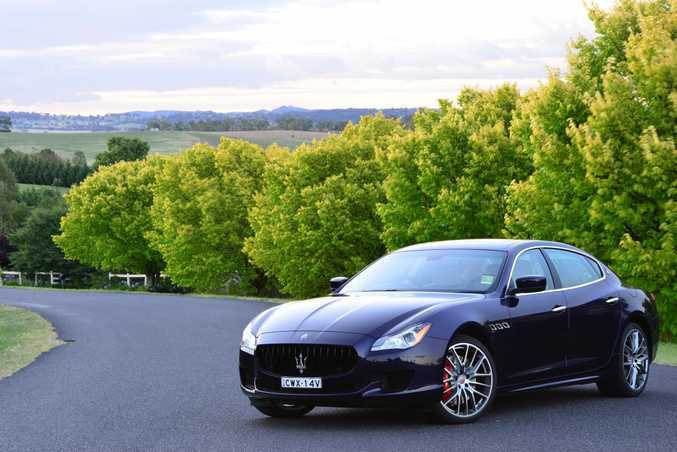 The more recent Ghibli four-door sedan model starts at $139,900 the diesel and $143,900 the 3.0-litre petrol. But let's not concern ourselves with Maseratis for poor people. The giant GTS unashamedly oozes presence, and its figures are a delightful antidote to the glut of shrinking and ever-greener modern car offerings. Its length makes it bigger than a Mercedes S Class limo, while its 3.8-litre twin-turbo V8 boasts 390kW and 710Nm of torque on overboost. Bar a measly 7kW difference, those are identical figures to a Porsche 911 Turbo. And it needs it. These things weigh two-tonnes with a reasonably sized driver on board, yet can still crack 100kmh in 4.7-seconds and will sail past 300kmh should it be asked. Incredible figures for a machine this huge. See it in the metal, especially from the side, and it is a colossal limousine. The curved bonnet alone - which leads into Maserati's distinctive oval grille - took up a fair chunk of my garage space. 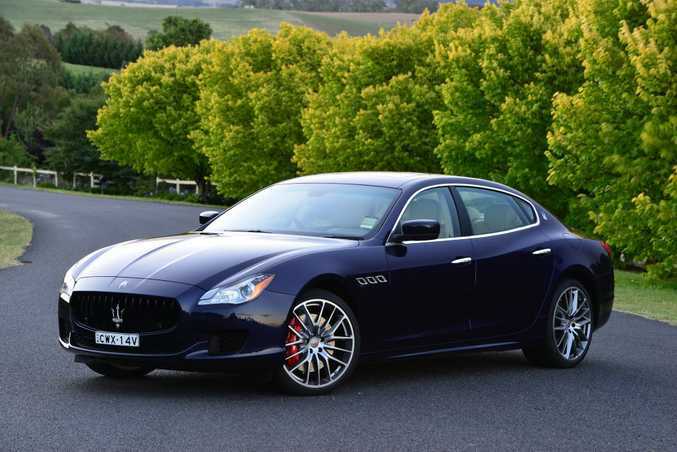 Dressed in classy Maserati Passione paint (blue in most light with some purple and sparkle in the sunshine) and with muscular curves down its flanks it is imposingly graceful. 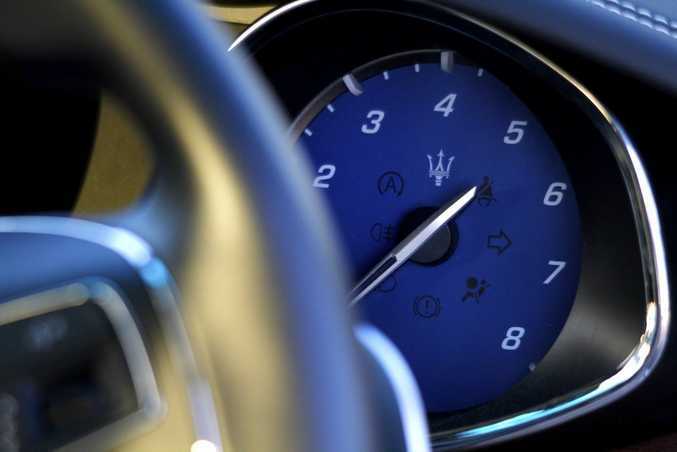 I've always associated Maseratis with executive lounge interiors and the GTS didn't disappoint. 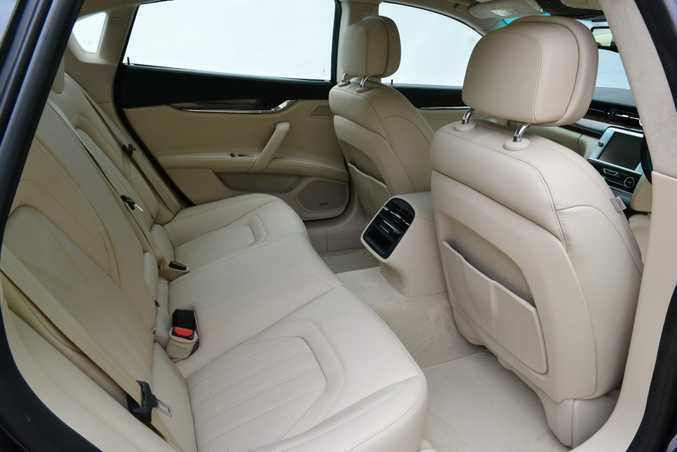 Its length ensures the deep rear seats offer vast leg room, but it's still a car you'd rather travel in up front, not least when that famous trident badge on the steering wheel fills your view. 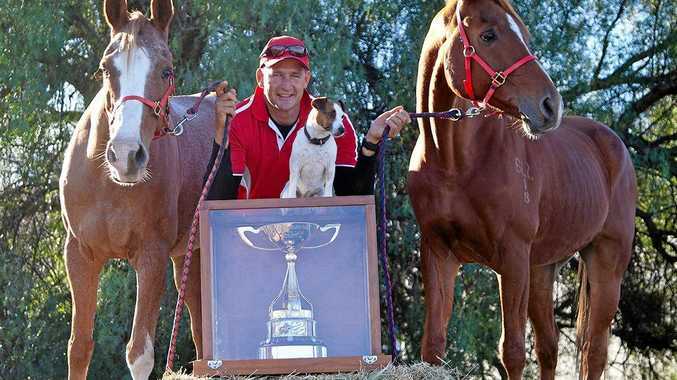 It's truly something to stir the emotions. Grip the chunky steering wheel, caress the aluminium paddle shifters and start adjusting the sumptuous seat in every which way you can imagine by the touch of a button. Cabin layout is beautifully unfussy, with a central touchscreen keeping buttons to a minimum, leaving plenty of space for swathes of optional Ebano high gloss timber running the length of the dash (leather topped, of course), centre console and door inserts. This is a gentleman's express, so having the wood finish as opposed to the likes of carbon fibre is appreciated. In fact, nothing in the cabin suggests garish poor taste, and that can't be said for some exotica. Living with the GTS for 500km however I did manage a few grumbles (sorry, it's my job). The ventilated seats are just a bit too firm for my liking - if I were using this as a grand tourer I'd be seeking a more sink-in feel. The auto gear shifter needs a far-too precise touch to engage Drive or Reverse when setting off (perhaps I'm ham-fisted but I kept overshooting and ending up in Neutral), and as became clear when you open up this beast, a head-up speedo display would help in saving your driver's license. The drive, however, is wonderful drama. Yes it can cruise along with sublime, quiet ease - there's even a little I.C.E. button to preserve fuel and keep all that performance on stand by - and despite this car's optional (and gorgeous) 21-inch wheels and tiny rubber band tyres, the ride is rarely anything less than blissful sailing. But life's too short for much of that. With a Ferrari-developed twin-turbo V8 itching to go it's just too hard to resist. A Sport button changes the exhaust note from subtle burbling to a deep, delicious rasping roar, but only with the windows down. So well insulated is the big GTS that the note is a bit too muted in the cabin, so windows down is de rigeur. 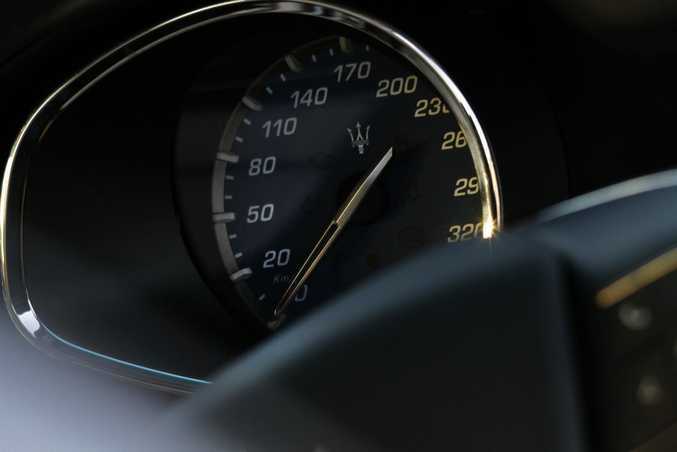 In Sport mode the suspension stiffens and the throttle response and gear shifts are quickened, readying the Quattroporte for launch. And boy does it fly. With turbos spooled up it pulls relentlessly, reaching three figures all too quickly in a riot of noise as the eight speed auto goes about its business in seamless correct gear selection. Ferrari has breathed on this drivetrain, and it shows. Interestingly, the GTS belies its size once you ask it to get playful, feeling a lot shorter than reality when throwing, sorry, massaging, into the turns. It grips well, is beautifully balanced and just wants for a bit more steering feedback for proper involvement. The traction control allows a reasonable amount of tolerance, as all that power through the rears can't help but bring a dab of oversteer along with the wall of sound when flooring the throttle on corner exit. It is, quite simply, a joyous driving experience. It morphs back into sublime cruiser whenever asked however, showing how it can satisfy whatever driving mood you're in or whatever road you're travelling. And for me, that's where your money is going. 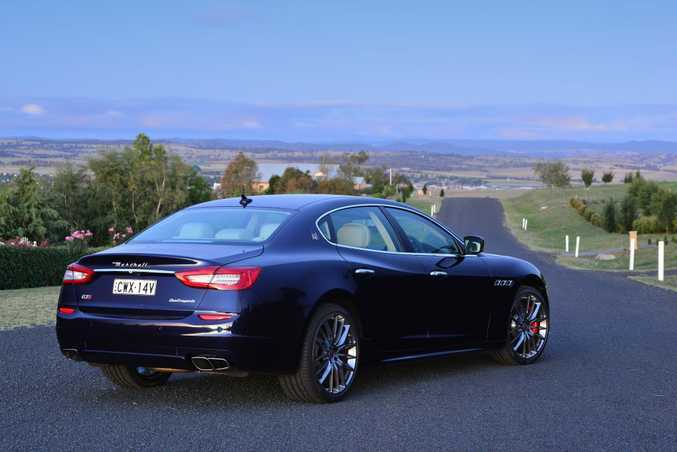 As a driving machine first and foremost the Quattroporte GTS is a hugely talented grand tourer, plush with comfort and ripe with performance and ability. 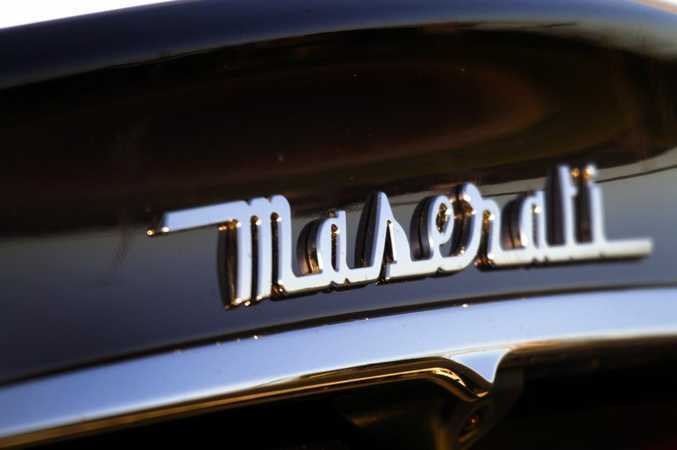 There's also class, which is something Maseratis exude with zero effort. 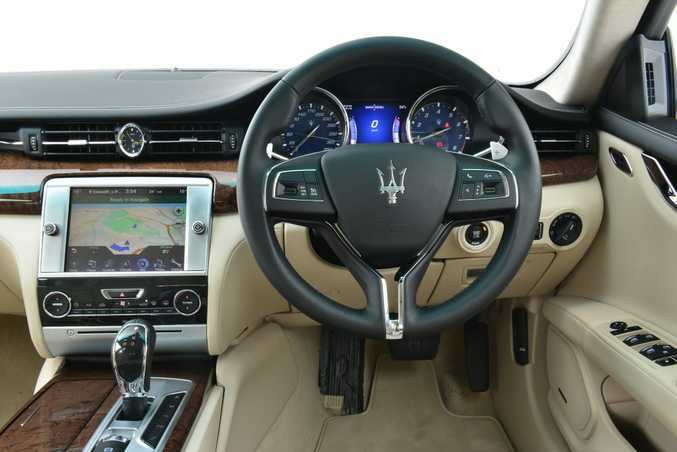 The Quattroporte is an understated yet glorious design, gift-wrapping a red-blooded Italian twin-turbo V8 heart and opulent cabin in which to enjoy whatever driving experience you choose. You would forgive this car anything. Even, after a while, that price tag. What we liked: Sheer presence, brutal acceleration, noise with the windows down, playful nature despite its size. What we'd like to see: More cosseting front ventilated seats, smoother gear shift selector, head-up display to keep an eye on that rapidly advancing speed. Warranty and servicing: Three-year/unlimited kilometre warranty. Servicing is every 20,000km. 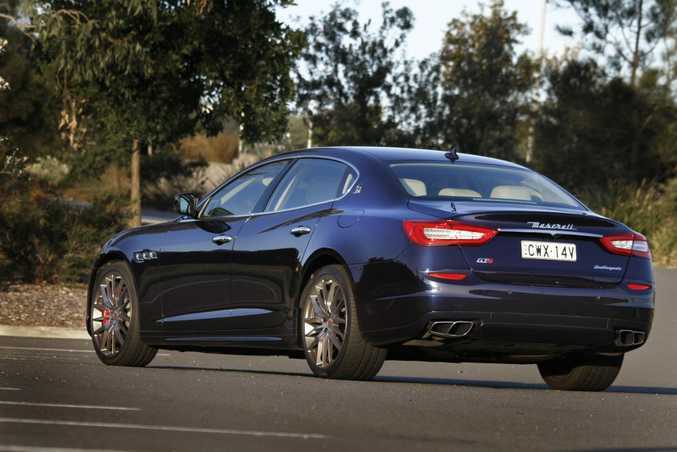 Details: Four-door rear-wheel drive sports luxury sedan. Engine: 3.8-litre twin-turbo V8 generating maximum power of 390kW @ 6500rpm and peak torque of 710Nm @ 4750rpm. Transmission: Eight-speed automatic with paddle shifters. Performance 0-100kmh: 4.7-seconds. 307kmh top speed. Bottom line plus on-roads: $331,000. This car $374,990 drive away as tested including factory options.